The second in The Ben Whittle Investigation series of psychological thrillers with occasional flashes of dark humour. Best enjoyed after reading The Revelation Room. This is the second book in the Ben Whittle series, and I would thoroughly recommend checking out the first book The Revelation Room. However, this book can be read as a standalone, there are details that link back to the first book but nothing that would impact on this story and leave you feeling like you’ve missed something. Many thanks to Booklover Catlady Publicity for this cracking read! Thrown straight into the confusion felt by one of the main characters Susan, the reader is catapulted into the action. Susan wakes up in a strange room, in a strange house and instantly I was hooked. Her fear and confusion were palpable, her desperation to find out where her daughter was and if she was ok was almost painful to read. Bird conveys Susan’s emotions and fears brilliantly, the reader can feel the tension and experiences the turmoil Susan endures. Unfortunately, the plot and the gripping twists make this a very difficult review to write, it is extremely hard not to give any little clues away. This is quite a dark story, very cleverly written and twisted beyond what you could imagine. It’s the sort of story that keeps the reader guessing what will happen next, and once all the clues are revealed you will be in disbelief at what you have just read. It’s the sort of book that stays with you once you’ve finished it, something about it made me uncomfortable reading it, so much so that my mind would wander back to the scenarios from the book and questioned what would I do in that position. Something about Bird’s writing really gripped me, her plotting was flawless, the characters were fascinating – narration from not only Susan but also her captor gave a chilling but fascinating insight. I will admit that this book felt a little too tense at times, there was a point I put it down as it felt claustrophobic, but this just shows the skill in the writing. It is incredibly powerful when an author can reach the reader through the pages of their book to share the experiences of the characters and the emotions. 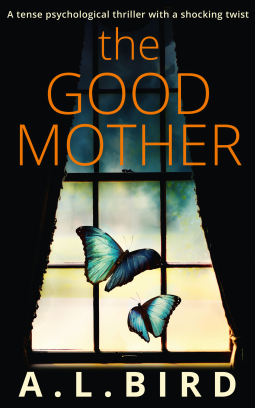 You can buy a copy of The Good Mother here. Then She Was Gone is the fourth instalment in the Murphy and Rossi series, a series I might add that is definitely worth following. If you’ve not read any of the previous books, go seek them out! This latest book is definitely my favourite of the set so far, and I would admit that you can read it without having read the others but why would you want to restrain yourself?! The return of Murphy and Rossi sees them investigating the case of the disappearance of popular politician Sam Bryne. Their strong relationship feels natural and authentic, which makes this even more of a thrill to read. Character development seems to be given the same attention as plotting in Veste’s books, demonstrating the level of care taken over his work. The physical settings of the book are also worth noting for this same reason, I don’t think I will see Liverpool in the same light again. It is incredibly difficult to write this review without spoilers (but I will desist in adding any because this book deserves your full attention! 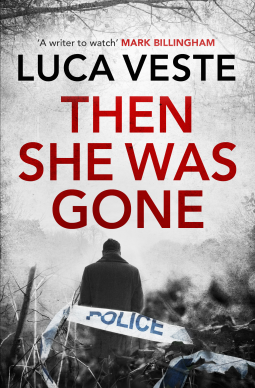 ), suffice to say that Luca Veste weaves a dark and twisted tale, his clever plotting and excellent narrative really pulls the reader in and keeps them hooked, expertly he ties it all together whilst keeping the reader completely in the dark. I felt quite pleased that I had worked out the plot at one point, forgetting whose book I was reading, until the master of trickery threw in a twist and I was stumped. A truly brilliant read, and one I would thoroughly recommend to fans of crime fiction. I cannot wait to see where Veste takes Murphy and Rossi next, please get the next book written and published soon!! You can buy a copy of Then She Was Gone here. Who can you turn to, if not the police? Essex, Christmas Day. As the residents of a small town enjoy their mince pies, shots ring out in the street. Five people are gunned down before the lone shooter turns his weapon on himself. Grace Fisher, now Detective Inspector, is tasked with making some sense of this atrocity – all the more sensitive because the first of the victims was one of their own: a police officer. 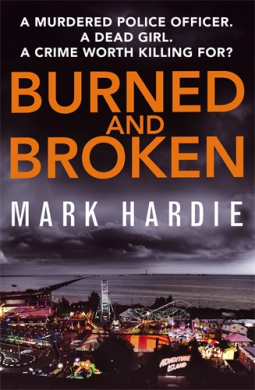 The case throws her back together with crime reporter Ivo Sweatman, but as she investigates it becomes clear that the police connection goes much deeper than she thought. What far-reaching compromises will Grace have to make to safeguard the innocent? If you’ve not read Good Girls Don’t Die then I recommend you go off and get a copy to read before reading this book. Christmas Day in a small town in Essex, families are together, people are happy, friends are merry but for Russell Fewell things are not as they should be. He is driving his van through the village of Dunholt with presents for his children and a rifle. When DI Grace Fisher gets the call there has been a shooting and there are 5 bodies, including the shooter, she knows Christmas is over. What she has yet to discover is that one of the victims was one of their own, a serving Police Officer. As the investigation gets under way, DI Fisher is determined to find out where the gun came from, what motive Fewell had for carrying out this tragedy and not realising that the questions she asks will be uncomfortable for many, uncovering corruption among her fellow officers could be fatal move for her career. With narration from a variety of perspectives, including a teenage girl who is devastated by the loss of her best friend in this tragedy, the reader is shown a perspective not commonly depicted in this genre. This contrasts well with the crime journalist Ivo Sweatman, who appeared in the previous book. His appearance brings a welcome relief for DI Fisher when she needs to find out answers to questions she cannot ask. This is a complex but cleverly written book. The plotting, narration and tension in this book are superb, the author shows great ability to create tension and scenarios that cause the reader to pause and question. The characters are brilliantly created, so many different layers to each one, and utterly fascinating to read about. I did grapple with DI Fisher’s theory about the cause of the shooting, something about it just didn’t “right” with me, but that’s personal preference and no reflection on the author or her work. 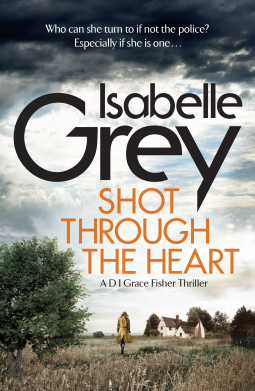 Shot Through The Heart would definitely be a book I’d love to see make it on to TV – indeed Isabelle Grey’s background is in television so her writing would lend itself well to this. A fascinating read, one that shows the fall out of mass shootings on both the ones who investigate as well as those left behind to pick up the pieces. A thought provoking read with characters you will want to hear more from. You can buy a copy of Shot Through The Heart here. Opening with a shooting in a high school this book certainly grabs the reader’s attention. The female protagonist Jessie Conway, is a special needs teacher at the school in question and following this horrific event, her life is turned upside down. She is labelled a local hero after her part in saving the lives of those in the school and helping to “take down” the shooters, but the spotlight draws the attention of sadistic serial killer Caleb Switch who has her locked in his sights. Jessie is an interesting character, she has a past that not even her husband is aware of, and despite her being portrayed as strong minded and very determined, she is troubled and damaged. Caleb is a dark and twisted character, and I think Hunt has written this character very well. He displays the characteristics readers have come to expect from psychopathic killers – cold, feels no empathy, ruthless and very scary to name just a few. In spite of the terrible qualities of Caleb, his is a character that I thoroughly enjoyed reading about, incredibly interesting and I would say well researched. 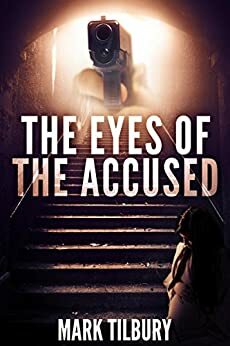 Narration from both Jessie and Caleb’s perspectives allows the reader full access to the inner workings of their minds, gives great insight to the depravity of Caleb’s mind when it comes to his victims and hunts. The plot flows well for most of the story, but for me there was a lull in the middle slightly, but the final third of the book made up for it. As far as psychological thrillers go, I thought it was ok, although it felt more like an action story at times. The one aspect of the book I was less keen on was the story of the reporter who dug into Cassie’s past. This seemed to trail off and was never really finished, but I suppose it served its purpose in bringing the information out to the reader. Overall it was a good read, just maybe not living up to the expectations I had of it. I would definitely look up some of Hunt’s other books as I did enjoy her style of writing. This book certainly didn’t start as I thought it might, Rosie Draper, nearing 65 loses her husband Mike to cancer……initially, I wondered what I was letting myself in for, but somehow, Sue Watson manages to turn this tragic event into something that draws the reader in slowly. Rosie, feeling that she has had her happiness, is ready to move on in her grief and settle for living out her days peacefully with the memories of her husband. Never in her wildest dreams does she imagine a chance meeting with her first boyfriend. The romance aspect to the book was really well written, heartfelt and uplifting to read. Reading how Rosie coped with the loss of her husband and struggling to get back to a place mentally where she could go on was very carefully written. Care and consideration was shown by the author to this sensitive aspect of the book and for that I am grateful. All to often authors brush over this and never really attempt to put into words how events such as this can impact on the characters left behind. Rosie is a lovely character, she teaches us so much – never to give up hope, never to give up on love but most importantly hindsight is something we have to learn from. All of her characters are realistic and most people will be able to identify with them, I loved the way they all seemed to open up and develop as realisations dawned upon them. Sue Watson writes a wonderful book, with a strong female lead character, some romance but most of all, she gives the reader pause for thought. This book was exceptionally good at making me reflect on things and inspiring hope for what lies ahead. More than I bargained for when I first read the description of the book, but I am so glad that I did read this one. I would definitely recommend this book, it’s the sort of heart warming story that cannot fail to capture the attention of readers, and their hearts in places too. This was the first book written by Sue Watson that I have read, but it definitely won’t be the only one, having thoroughly enjoyed this, I will be searching Amazon later for more of her books to enjoy! 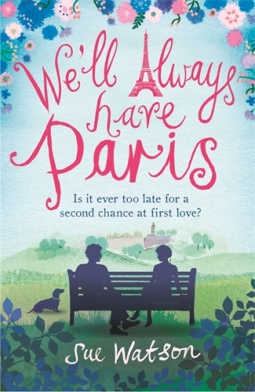 You can buy a copy of We’ll Always Have Paris here. AN ESCAPED KIDNAPPING VICTIM BECOMES AN AVENGER OF INNOCENTS. CAN SHE ESCAPE WHEN SHE’S TARGETED AGAIN? The eighth novel in Sunday Times bestseller Lisa Gardner’s Detective D.D. Warren series. Harlan Coben says FIND HER is ‘taut psychological suspense’ which ‘should not be missed’. Despite being the eighth book in the Detective D.D. Warren series, I felt I was able to read this with little trouble. There were references to previous cases which may have added extra information for other readers but nevertheless had no impact on me. This book reads well as a standalone book, however where an author has established a series I do like to go back and read the books that I have missed just to catch up (looks like my summer reading pile has grown considerably!). Flora Dane is a very interesting character, having been held captive for 472 days she was eventually found and returned to her family. Instead of regressing back into herself, she turns vigilante to hunt down predators, and so when another young girl goes missing, Flora is determined to find her. 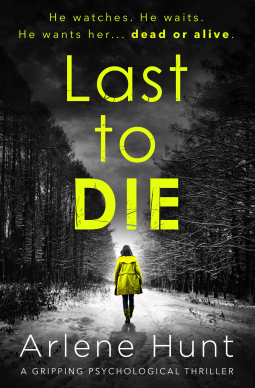 Despite putting herself in danger, Flora goes off to find the girl and disappears again, leaving Detective Warren to search for both girls in a gripping and frightening race against time. Narrating from three perspectives, the author really immerses the reader in the action; details of the investigation, Flora’s current captivity and Flora’s previous kidnapping and time held captive. The portrayal of Flora’s captivity was harrowing to read, Lisa Gardner really earns her gold stars for creating such a claustrophobic atmosphere that makes the reader feel uncomfortable. Her attention to detail reflects at how much research has been done into both victims and perpetrators, thoroughly interesting, fascinating yet creepy all at the same time! The characters were interesting and realistic, there was a real believability to them, especially Flora. Flora’s struggles made it hard to pin her to solely being a victim or a vigilante/ predator, so many of her actions and decisions were easily traced back to what she endured and I wonder if she might have been suffering Stockholm Syndrome. This is a book best read at breakneck speed, it’s thrilling, disturbing and utterly fascinating. The pace of this good, very easy to read in one day (if you get peace and quiet to do so), but maybe try and get most of it read before bedtime! I would absolutely recommend this to fans of psychological thriller books. I can’t wait to see how the previous books compare to this one, hopefully this is another author to add to my “keep an eye out for” list. 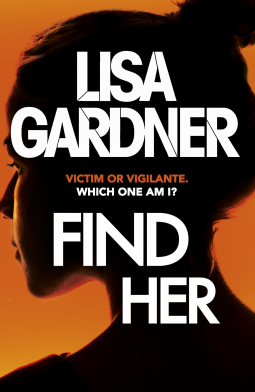 You can buy a copy of Find Her here. I’m so glad I took a chance on this book, when I read the description I was curious but not entirely sure if it was the book for me. 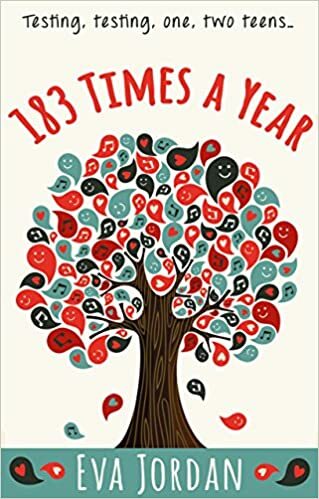 A funny, entertaining and light hearted read for most parts, the reader is introduced to a typical dysfunctional family, a mother nearing the end of her tether with her teenage daughter and stepdaughter, and worrying her delightful son will find his hormones and will turn into another moody teen. Throw in her ex husband who seems to have abandoned the kids almost completely, her new partner working away from home a lot so not able to support her when it comes to the kids, it’s no wonder that Lizzie needs the help of good friends and wine to keep her sanity. Cassie is the typical 16 year old, her life revolves around what others think of her, her social status and making sure everyone knows that life isn’t easy when you’re 16. She’s a character that I think most people can see traces of themselves in, I know I certainly can and I really need to apologise to my mother for that – amazing I made it through teenage years without any injuries! I would definitely say this is a book that both teenagers and adults should read, it relates to so many issues cleverly whilst telling a heart warming story. Most importantly though, it reminds us not to take others for granted and appreciate the things that others do for us – even if it is just emptying the dishwasher or taking cups from the bedroom before they start to grow penicillin cultures. You can buy a copy of 183 Times a Year here. For those not already aware of the #ParcelsOfJoy project on Twitter run by the wonderful Bex allow me to give you a little background. Initially thought up as a way for her to share her batches of home baking, Bex hatched on the idea of a parcel exchange with strangers willing to share a little happiness with each other via post – be this baked cookies, banana bread, fudge or non edible delights such as books or knitted goodies. In fact, looking at the pictures posted by participants of the project, there are a variety of items being sent and gratefully received by strangers. Having participated in some swaps, I can honestly say I am truly honoured and touched at the lovely and thoughtful parcels of joy I have been sent. Something so lovely about sending someone a parcel of random loveliness just to try and brighten their day. Leading on from Bex’s recent post on Parcels of Joy blog I thought I would introduce myself and add a little about me. I’m Kate, a city girl that moved out to the countryside. I love to read (might give the game away with all the book reviews eh? ), I knit when I can, my wool collection rivals my book collection, I love to knit practical things like hats, scarves, wrist/hand warmers, cleaning cloths. Ok so I don’t like to knit garments because I get fed up before I finish them usually (there’s a pile of half finished projects in a box somewhere!). I have a daughter who loves books too, it’s great to teach young ones to have an appreciation of books. I’m married to a wonderful man who seems to be able to turn his hand to most things – burst pipes, engine troubles, replastering walls, building fences and gates….think I got lucky marrying that one! I love going for walks on the old railway line that runs through our village, seeing the history of the line through the old bridges that are still in place and seeing the ever changing landscape always cheers me up. I also love to sit and watch the sea, something so mesmerising about it. I have a slight unhealthy addiction to watching tv shows like NCIS, Grey’s Anatomy and The Big Bang Theory. But equally, I am fascinated when there are documentaries on about the Cold War or mythology, witchcraft and the likes. I am a stationary fiend, I cannot walk past places like Paperchase etc without going in to “look”. You can never have enough notebooks and pens! I love candles, something soothing about watching the flickering flame on a candle. I’m lactose intolerant, but that doesn’t stop me eating chocolate….it should, but it doesn’t. A big fan of baking and cooking, but sometimes my enthusiasm isn’t matched by abilities, but I can boast an impressive recipe books. Interested in local and Scottish history and folklore – it’s always nice to find out things about the places you visit or where you live. Can’t think of anything else really to say about myself really, apart from thank you to all the lovely people that have sent me a Parcel of Joy, I have been touched and humbled by your gestures and they have definitely brightened my day. If you would like to find out more about the project, check out Bex’s blog.